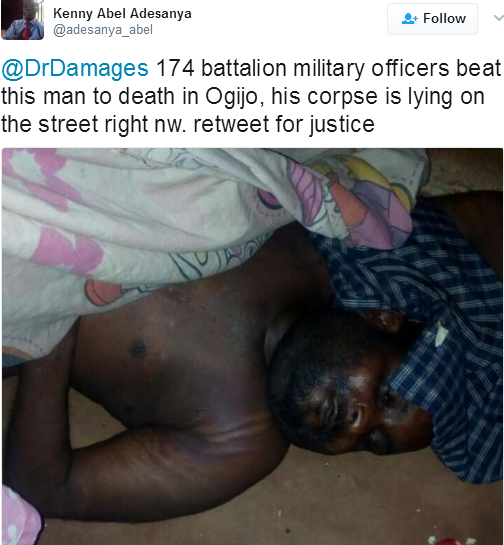 One Twitter user, Kenny Abel Adesanya, on his Twitter handle, disclosed that men of the 174 battalion in Ogun state, beat the man pictured above, to death in the Ogijo area of the state yesterday March 24th. According to reports, the deceased was owing his landlady two months house rent. The landlady invited the soldiers to intervene and they ended up beating him so badly he was admitted to hospital.